GTrans has been providing safe, reliable and outstanding local bus service to Southern California’s South Bay for more than 75 years. Founded in January 1940 as Gardena Municipal Bus Lines, our first buses carried passengers traveling between Gardena and Downtown LA, making stops at popular destinations like Los Angeles City Hall and the Gardena Civic Center. By 1980, ridership had grown enough that we needed to expand Line 2 all the way to PCH to further serve our South Bay patrons. We expanded again in 2009, creating Line 5 along El Segundo Blvd, serving the Metro Green Line stations at Imperial and Aviation. In 2005, we began converting our fleet from diesel buses to cleaner, gasoline hybrid electric powered vehicles, putting a total of 57 of these buses into service over the next five years. In 2015, we made an even bigger environmental move, adding our first ever zero-emission, all-electric vehicles to the fleet. These buses were designed to be clean, quiet, comfortable and efficient – with plans for more than half of their electricity coming from our soon-to-be-enhanced solar-powered parking structures. 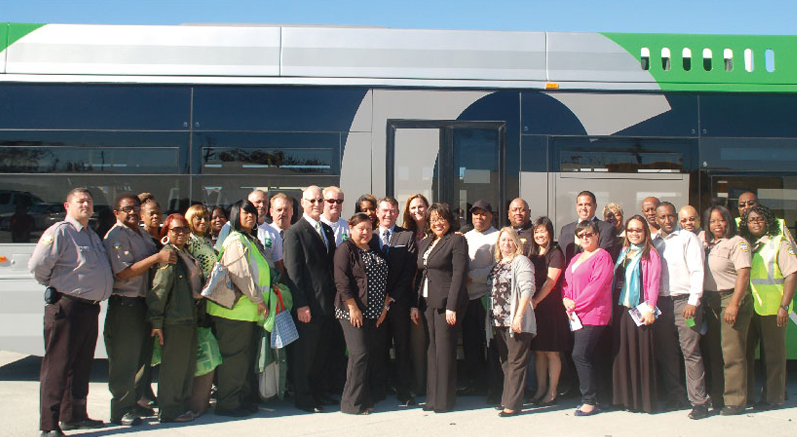 2015 also marked several other big changes to our organization, as we officially changed our name from Gardena Municipal Bus Lines to GTrans, unveiled a modern new bus design, and upgraded to a smarter, more user-friendly website.